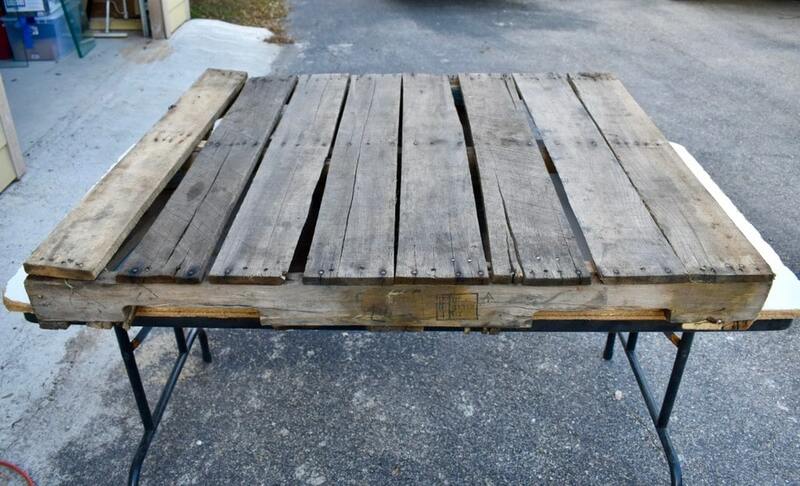 We are always a fan of repurposing anything that’s lying around and reclaimed wood is high on our list. There’s no comparing wood that’s had a bit of life for some projects. 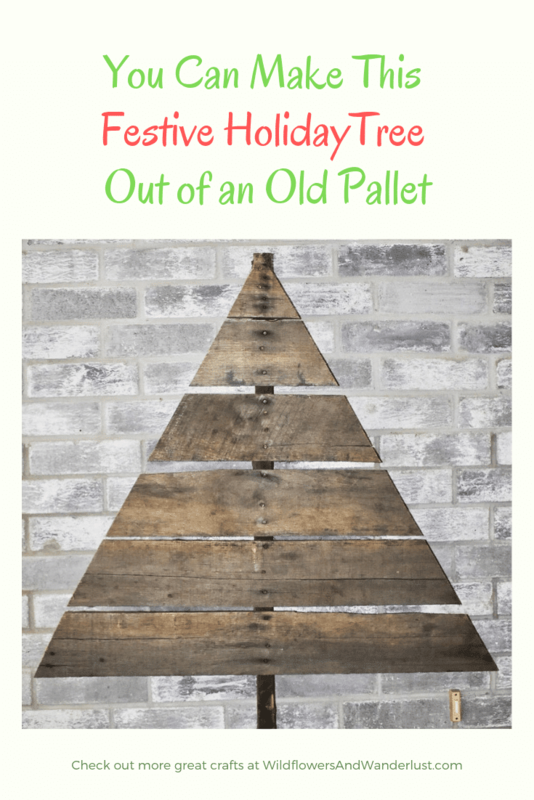 You won’t believe how easy it is to make this Christmas pallet tree. We sometimes receive deliveries on pallet’s so we generally have one waiting to be reused or moved on, but they are readily available at many big box stores. You shouldn’t need to purchase one, just check and ask if you can help yourself. 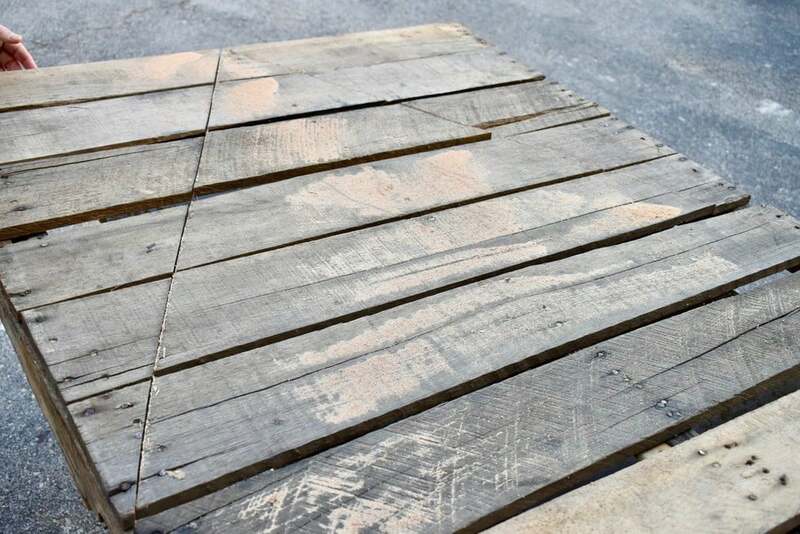 You’ll also want to be sure that you like the spacing of the boards since one of our pallets had really wide spacing. Note that some of these can be really heavy so you may need a helper for lifting purposes! We chose a pallet that had even spacing, ignore the board to the left, we just removed that one to make a trunk for our tree. 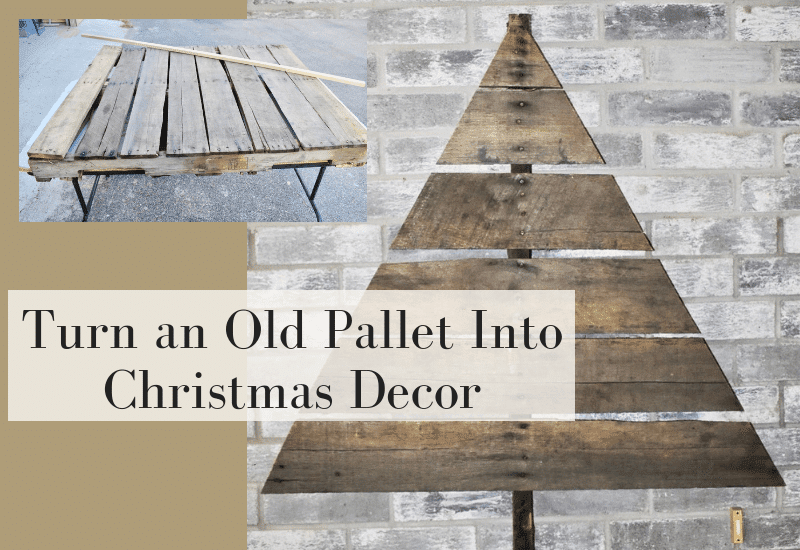 There are several ways that you can repurpose a pallet and we chose the easiest way, to just draw a triangle and cut through it. 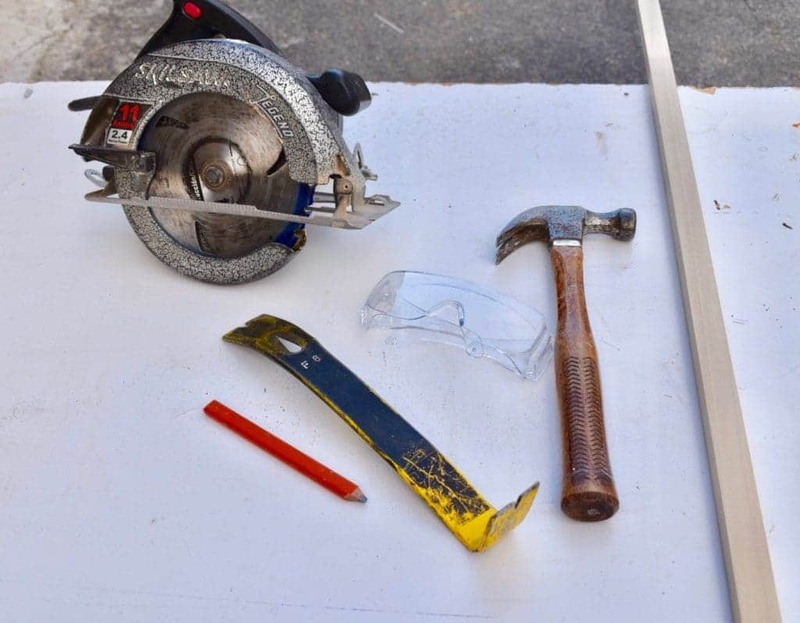 Use a straight edge to mark off your cut lines. Generally the center point of a pallet has nails in it so it’s easy to find. We removed the bottom two boards for our tree’s trunk so we just angled our straight edge from the top centerpoint to the outside edge of the last board. Be sure that you wear gloves when working with pallets. The wood is not smooth and many times we have found rusty nails poking out in random spots. You also really need to wear protective eyewear for this project. 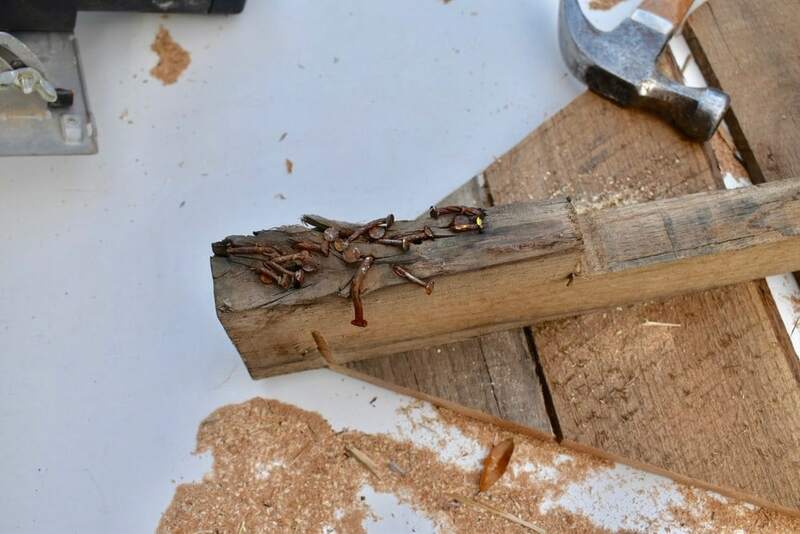 Pallet repair is generally done by adding more nails and when you’re cutting you may find a nail (or 100) in a place you didn’t expect. 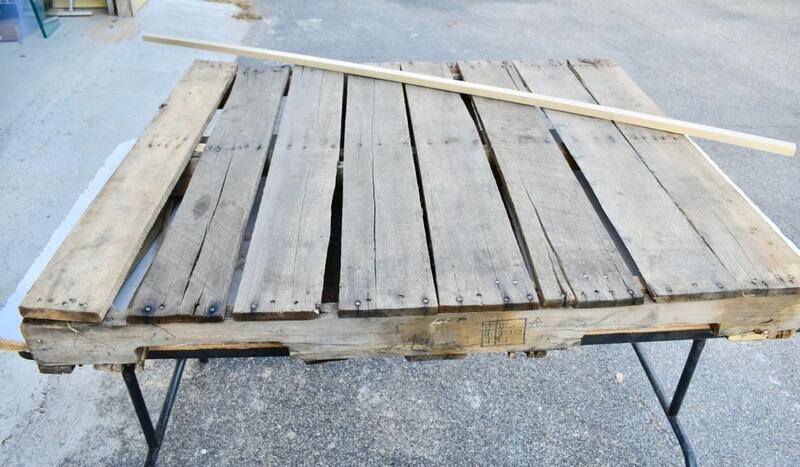 The wood on pallets may splinter easily and pieces may go flying. Be sure to protect your eyes! This is just an example to show you. We removed one board and this was how many nails were hiding behind it. The key to pallet repair is just to keep adding nails. Once you’ve figured out your lines just cut along them. Once you’ve cut through the top layer it’s very easy to pry away the remaining boards. You will likely be left with a lot of splintered pieces of wood so be careful. 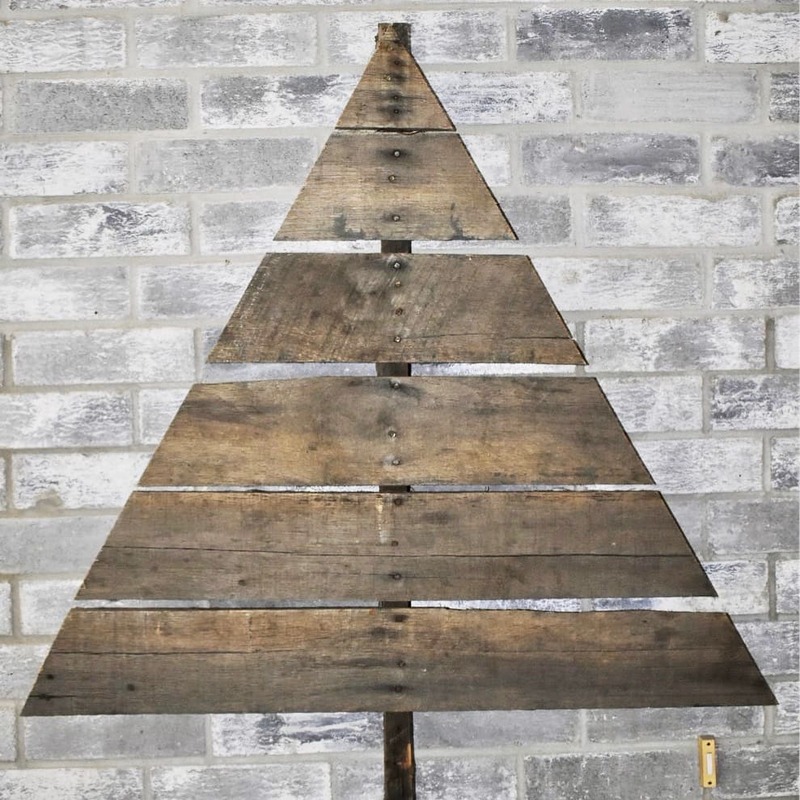 And then you’ll be left with a pallet wood Christmas tree! We hung ours on the front porch by the doorbell (it’s an ugly doorbell) and I think we’re going to leave it natural for this year. It will probably wind up having some lights on it before the season is over, but that’s the only decoration I’m going to add to it since it’s fits into the farmhouse style we have.